Whether you’re flying to Asia for the first time or visiting family back home, we have your hook up for cheap flights to Asia. We always have the college student in mind, which means you can find the best flight deals to Asia around school breaks. Travel home more often, for less. If you’re looking for an epic vacation instead, start your adventure with a cheap flight to Thailand in Southeast Asia. Enjoy the crystal blue waters of Railay Beach in the Krabi Province or the beauty of the Grand Palace in the capital city of Bangkok. If you’re a nature enthusiast, fly to Japan where you can visit the wild snow monkeys in Jigokudani Monkey Park. This famous hot spring is located near Nagano where the monkeys come down from the forest and steep cliffs to enjoy the warm hot springs. Need some travel tips for Asia on what to do? Check out our travel guides for some travel inspiration. Regardless of what country in Asia you want to explore, we’ve got you covered with tons of cheap flights and hotels. 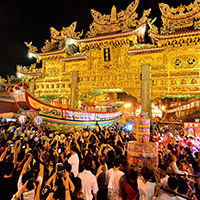 Why visit Taiwan? The question is more like why not visit Taiwan. The list of reasons to visit Taiwan is pretty much endless. 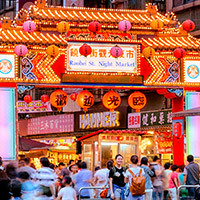 Taipei, Taiwan’s largest city and capital, has bustling streets lined with all sorts of cool shops and must-see attractions, like the incredibly tall Taipei 101 building. 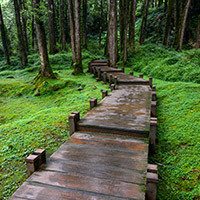 Besides the amazing cities, there's also tons of natural beauty in Taiwan. Enjoy hiking up one of East Asia’s tallest peaks, Yushan (Mt. Jade) and catch some of the most scenic views in the country. Or rent a bike and explore some of the island's bikeways. Need some rest and relaxation? Taiwan is renowned for their hot springs, with literally hundreds (almost one in every city). And of course, indulge all your senses in Taiwan's amazing food and drink scene. From exotic fruits and huge breakfasts to night markets packed with street food, there's so much to do and try. Need some recommendations on where to start? Check out our blog posts and get ready to get planning! Looking for a cheap flight to Asia? You’ll have tons of choices now that StudentUniverse has teamed up with first rate international carriers to fly you from the US to Asia. StudentUniverse can offer you the best flight deals possible on Air China, Cathay Pacific Airways, Hainan and many more of our 80+ airline partners all around the world. Why stop in only one country, though, when you can save enough money on these student deals to visit multiple countries? Whether you are looking for the hustle and bustle of big cities or the serenity of villages off the beaten path, Asia has it all, and so do we. StudentUniverse's partnership with these world-class airlines are here to get you where you want to go, and to get you there for cheap! *ASIAFLIGHTS Promo Code Terms: The promotion code entitles you to a $40 discount on the purchase of one (1) airline ticket at StudentUniverse.com. Valid for one-way and roundtrip flights between the United States/Canada and Asia. Offer not valid on hotels, insurance or previously booked flights. Offer not valid on hotels, insurance or previously booked flights. Promotion Code is limited to a one-time use only per person. Coupons/Discounts cannot be combined with any other offer. Discount will not be applied to taxes and fees. Promo code valid through April 23, 2019. Limited redemptions available. **A Note About Summer Flight Prices: All prices were current at the time this was published. Prices are subject to availability and subject to change without notice. Prices are based on searches done in the last 14 days for roundtrip flights from the United States to select destinations within Asia between May 2019 and August 2019. Flight prices vary by date, departure city, arrival city and availability. All taxes/fees are included in the price, except certain government taxes, change fees and fees imposed in destination and airline baggage fees if applicable.